I did! (: I spent half of my morning working on a card and then back again after lunch. And I had a good break after, went rollerblading with my 9 year old little man and my hubby. And since I planned to do a card, I must well join another card challenge ya?! 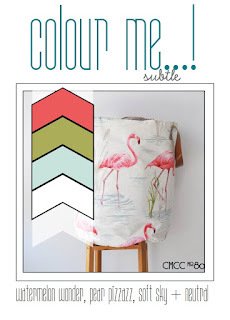 ;) So I've decided to head over to About Colour Me...! card challenge blog to join in the fun! My local crafty friend Ren from Ink A Paper who happens to be on the Design Team did mentioned to me about Colour Me...! Challenge before but I thought I might not be creative enough for the challenges. But never mind, I'll give it a try! Never say "die"! Haha! That's a local Singapore slag, meaning we will not give up trying! So the colours for this week's challenge.... *drum roll*!!!!! 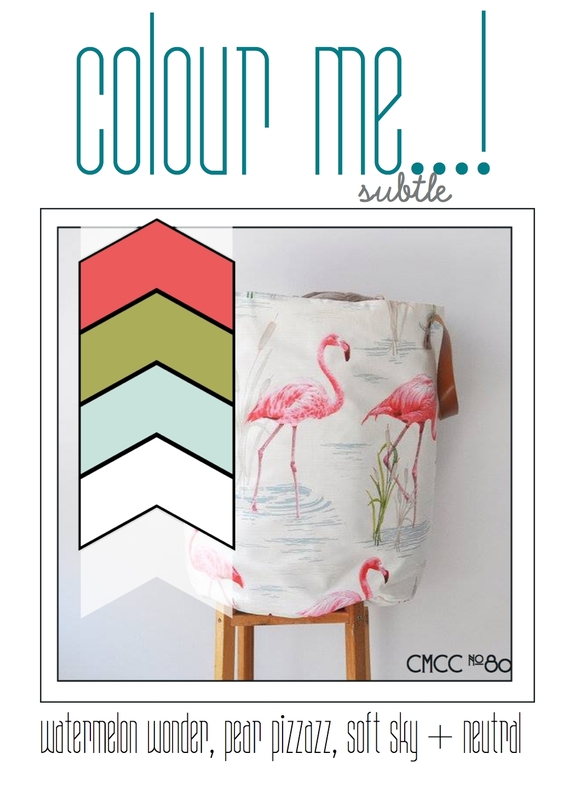 This week's colours are : Watermelon Wonder, Pear Pizzazz & Soft Sky. Quite fun colours I would say! And I started to think of soft skies with rolling clouds. This came up to my mind! I saw this technique in a post at Pinterest and I am totally blown away! Soft rolling clouds... maybe just the right type of background for the card? Here's the link to the blog that I learned the technique from. Then the colour of watermelon, and I came up with this. And finally the card is done! I hope it meets all the requirement and the colours are fine! *keeping fingers and toes crossed! * Now I realized it's really fun joining card challenges, it sets the boundaries and make me think twice about planning on the colours and structure of the card. I'm looking out for more challenges to put my creativity to the test! Ok that's all for now. Wishing everyone a great weekend! And.... Stay calm and craft on! Labels: cards, challenges, Colour Me...! Gorgeous !! U r amazing! So are you my crafty neighbour! Hahahaha! Thanks for dropping by PurPig! The rollerblading must have done you well and gave you the right vibes, because your card turned out beautiful! I hope we will see you again at Colour Me...! Hi Antonia, thank you so much for your comment! Honestly speaking, I wasrather worried about using the wrong colours but now I feel relieve to hear from you and Ren that the card is good! I'm looking forward to the next Colour Me...! challenge! beautiful masking.. perfect scene .. Thanks for joining us at Colour Me!! Love love love your masking! Great card!